We are pleased to announce that Pay with OpenTable is now available in the Washington, D.C. metropolitan area. 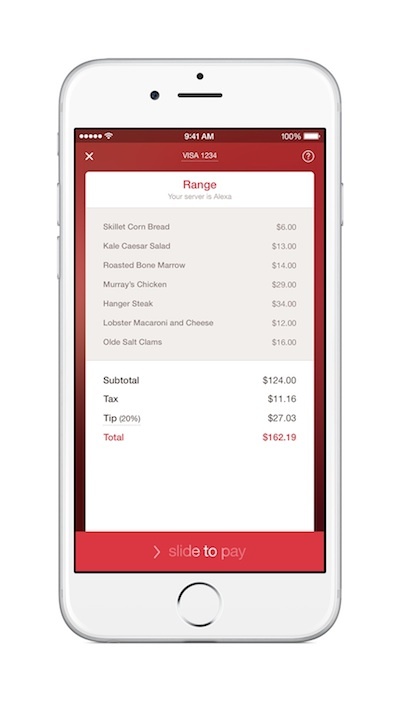 In addition to Washington, D.C., Pay with OpenTable is currently available in New York City and San Francisco. OpenTable plans to roll out the feature across the nation by introducing it to a total of 20 cities before year end. To pay with OpenTable, diners who book at participating restaurants simply add a credit card in the OpenTable iPhone app before they dine and can then view and pay their check with a few taps. There’s no separate app to download; no codes to enter; and no scanning or barcodes involved. Diners who Pay with OpenTable simply get up and go whenever they’re ready. Del Campo – Washington, D.C.
J. Paul’s – Georgetown – Washington, D.C.
Lincoln – DC – Washington, D.C.
Old Glory – Washington, D.C.
Paolo’s Ristorante – Georgetown – Washington, D.C.
Ping Pong Dim Sum – Dupont – Washington, D.C.
Roofers Union – Washington, D.C.
Southern Hospitality – Washington, D.C.
Teddy & The Bully Bar – Washington, D.C.
To find out more about OpenTable mobile payments, watch “Life’s too short to wait for the check” and visit //pay.opentable.com/ to view the current list of participating restaurants. Restaurants who are interested in providing their guests with the experience of paying with OpenTable can learn more at //pay.opentable.com/restaurants. Any ability to split payments with other OT users in a party?